Halloween is upon us! Get out your scariest costumes and decorations for a truly special time of year. From the ghosts and ghouls to the witches and goblins, Halloween parties are a great way to celebrate the season! When you are throwing a Halloween party, you need to be creative! If you need inspiration, it is likely that you’ve searched on Pinterest for some great DIY ideas for your party. 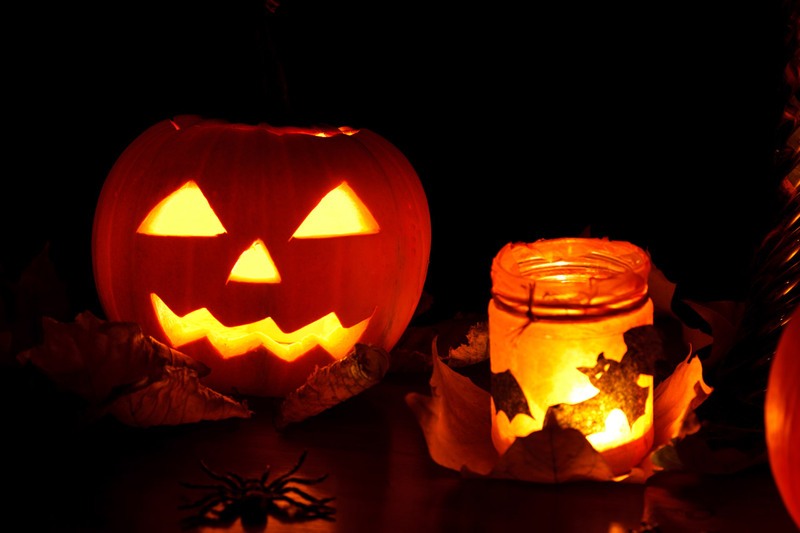 From DIY haunted houses to food creations, we have a few suggestions of our own. Grab your pen and paper and take notes on how to create DIY sparkler ideas for your Halloween Party. Sparklers are a great way to decorate the party. First, let’s find out what kind of party you are throwing. Are you planning to scare your guests, make them laugh or wow them with your Halloween inspired decor? Regardless of your theme, we have some unique ideas that you CAN do yourself in order to make your party fabulous! You’ve entered the operating room; the room is dark and the fuses are sparking all over the place. The doctor is about to perform surgery and his patients have arrived! Imagine a haunted operating room at your party with spooky sound effects, dim lighting, brains, eyeballs and sparklers flying all around! Sparklers will really set the tone for your haunted room! You’ve heard of traditional jack-o-lanterns, but have you ever seen a jack-o-lantern with a dazzling sparkler? Carve your favorite character, saying or design into your pumpkin and light your creation with a sparkler! Your guests will be truly wowed with the appearance of your beautiful Halloween creation. Set up a station, a bucket full of sparklers and props for your guests! Let your guests take silly, scary and fun photos in their Halloween costumes. Posing with sparklers, in their costumes will make the photos truly unforgettable! Whether they are posing, or spelling something, making art or being creative, party sparklers will be a hit! Visit our website and choose the perfect sparklers for your Halloween bash! We have sparklers that vary in length, size, design and burning time. Contact us and learn more about the best party sparklers on the web!